Like anything that the Merc with a Mouth does, the Deadpool 2 Super Duper Cut commercial is touching and inappropriate all at once, while paying tribute to the success of the sequel. The Super Duper Cut of the film made its debut at this year’s San Diego Comic-Con after Ryan Reynolds led most of the cast through a hilarious Hall H panel, thanking fans for the success of the sequel. The Super Duper Cut of Deadpool 2 is now available to purchase digitally with a physical release coming later this month. This fresh commercial for the Deadpool 2 Super Duper Cut teases some scenes that were left out of the original while showing off some of the more vulgar parts that made it into the original film. The commercial is all cut to Air Supply’s “I’m All Out of Love,” which is a pretty weird juxtaposition, just like it is in the sequel. For fans that felt like they needed more of Wade Wilson’s antics, the Super Duper Cut is definitely for you. Ryan Reynolds has addressed the possibility of a Deadpool 3 and believes that the X-Force movie will be the third installment for the Merc with a Mouth. The movie will also see the return of Zazie Beetz’s Domino and Josh Brolin’s Cable, but as far as the rest of the team that was introduced in Deadpool 2, it isn’t clear if Wade Wilson will be traveling back in time to rescue them all. However, Terry Crews really wants to come back and reprise his Bedlam role, so let’s hope that it all works out for the rest of the deceased X-Force members. Deadpool 2 is currently the 5th highest grossing movie of 2018 with a worldwide box office total of $733 million. While the sequel is about $40 million shy of beating the first installment’s record, it’s still a big success. The first Deadpool movie hit theaters in February without any real competition. Deadpool 2 came out this summer fighting with Infinity War along with Solo: A Star Wars Story and Jurassic World: Fallen Kingdom. Had the sequel been released in the winter again, it probably would have gotten close to $1 billion in worldwide ticket sales. 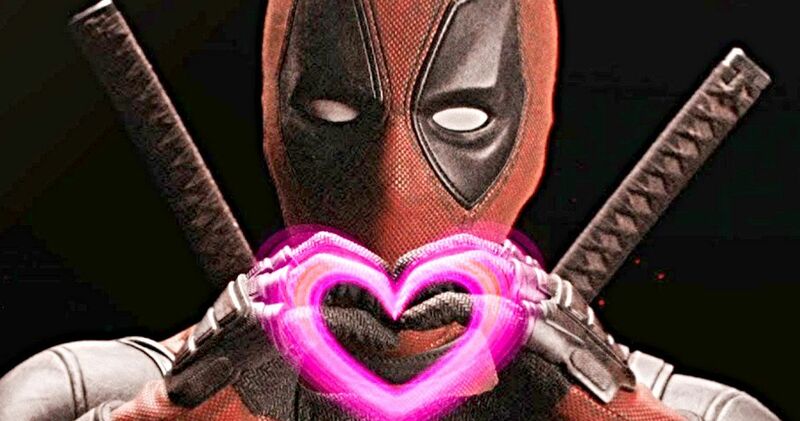 It’s going to be a while before the X-Force movie hits theaters, so the Super Duper Cut of Deadpool 2 is going to have to fill the Wade Wilson-shaped hole in the hearts of fans for now. Thankfully, there’s plenty of bonus features to tear apart, including a hilarious gag reel, director’s commentary, and a whole bunch of other goodies. As previously stated, the Super Duper Cut adds an additional 15 minutes of footage that was not seen in the final cut of Deadpool 2. If you’re still not convinced, you can watch the commercial for the Super Duper Cut below, provided by the 20th Century Fox YouTube channel. Previous: Jennifer Lopez and Alex Rodriguez Do Pullups On A Yacht On The Amalfi Coast & Holy Bleep It’s Hot!